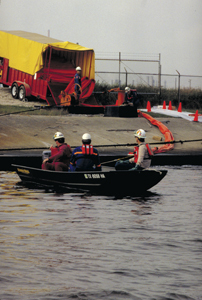 Countermeasures on Water is part of the Oil Spill Response Series. Available separately or as a part of the series. The factors that challenge responders to water spills, including weather, wind, sea conditions, and currents. This program familiarizes the student with various types of security equipment and systems that are used in maritime security. Emphasis is placed on the operational limitations of security equipment and systems, as well as the need for routine testing, calibration, and maintenance of equipment and systems in place. The objective is to ensure familiarity with the capabilities and appropriate deployment of devices and systems. In this section, the ideas, plans and preparations explored and developed in the previous courses are put into action and appropriate procedures are developed to facilitate security actions. Actions associated with a change in security levels are discussed and the importance of maintaining security at the ship or port interface is stressed. In addition, the appropriate use of the Declaration of Security is conveyed. Includes Instructor's manual and test questions. This course addresses the training requirements set out under the ISPS Code in Parts A and B of the Code. 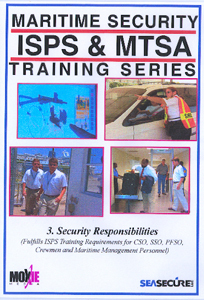 The instruction will help to clarify the specific training requirements - by position; requirements for training; as well as who needs to be trained, what the training must consist of, and where the responsibility lies for the training of the various persons involved in the security organization. 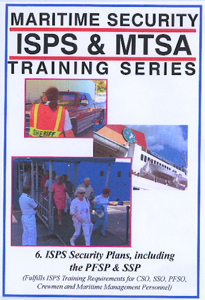 Also included in this program is a primer for the Port Facility Security Officer and the Ship Security Officer on instructional techniques for security training and education. This coursewill draw upon Part B of the ISPS Code and Appendix B to demonstrate to Port Facility Security Officers, Company Security Officers, and Ship Security Officers the administrative requirements for both documentation and records keeping. Records associated with the security assessment and security plan, as well as training, drills and maintenance of security equipment and systems are vital in order to achieve and maintain certification of compliance with the ISPS Code. In this course, the purpose and contents of the Security Plan are clearly established and emphasis is placed on the issues of confidentiality. The primary course objective is to establish intimate familiarity with the contents of the plan and the processes by which the plan is developed, approved, implemented, maintained, and modified in accordance with the ISPS Code. Emergency Film Group is offering an important new series about a critical and timely subject - vessel and port security. The International Maritime Organization's (IMO) International Ship and Port Facility Security Code (ISPS) and the U.S. Maritime Port Security Act of 2002 (MTSA) require training for port and vessel security personnel. These 11 programs are a series of classroom presentations by Kim Peterson, a noted maritime security authority. As such, the programs are quite different from the usual Emergency Film Group production, although the information is equally authoritative and accurate. The series was produced by Moxie Media and Sea Secure. helps vessel operators, ports and facilities managers address the evolving needs of the maritime industry in the implementation of maritime security management systems. 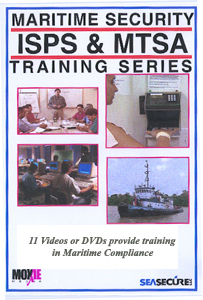 These programs provides a way to train maritime employees in the mandatory instruction required by the International Maritime Organization and the U.S. Coast Guard. The course is designed for Port Facility Security Officers, Company Security Officers, Ship Security Officers, crew with security duties, Port State Control Officers, maritime executives, and other appropriate crew members, port personnel, and maritime security organization members. The curriculum adopts and illustrates the approach taken by the ISPS Code. The ISPS Code as well as the MTSA require Federal agencies, ports, and vessel owners to take numerous steps to upgrade security and to address anti-terrorism and anti-piracy procedures. 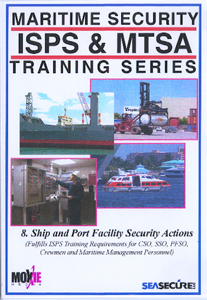 Also required is specialized maritime security training for port facility and vessel personnel. 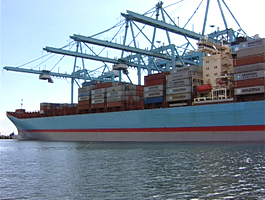 Non-compliance with ISPS and MTSA requirements can result in ships being refused issue of the required International Ship Security Certificate, thereby jeopardizing future visits by ships. And without proper training of their personnel, both ships and ports face increased liability in the event of a security incident. A four-part lecture on the history of maritime terrorism, the current threat. An introduction to relevant international conventions, codes, legislation, and regulations. Gives students an appreciation of the Maritime Security System conceived by the IMO. The process of performing a ship and port facility security assessment as it pertains to the proces. Characteristics and potential effects of prohibited weapons: explosives, hazardous substances. How to prepare, manage, assess, and learn from security exercises and drills. Documentation and records keeping to achieve and maintain certification of compliance with the ISPS. Ensures familiarity with the capabilities and appropriate deployment of maritime security devices. 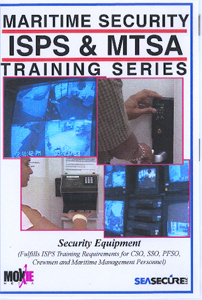 addresses the training requirements set out under the ISPS Code in Parts A and B of the Code.